A mayoral debate focused on public transit went ahead on Wednesday night without John Tory. The debate, which took place on the University of Toronto’s Scarborough campus, was jointly put on by the transit advocacy organization TTCriders, the Scarborough Civic Action Network and the student union at the University of Toronto Scarborough. While organizers of the debate had initially planned for Tory to square off with former chief planner-turned mayoral candidate Jennifer Keesmaat in a one-on-one discussion on transit issues, that format was scrapped after he declined their invite. Tory’s team tells CTV News Toronto there was a scheduling conflict, and he is instead attending a fundraiser tonight. The debate, meanwhile, went ahead with Keesmaat and fellow mayoral candidates Sarah Climenhaga and Saron Gebresellassi. Keesmaat addressed what she plans to bring to the table in terms of transit if elected as mayor. Climenhaga also commented on the need for fare integration within the GTA. Tory was given the questions posed at the debate and provided his answers via email to CP24. In his answers Tory touted his implementation of the King Street pilot project, the PRESTO system and the Fare Fair Pass. 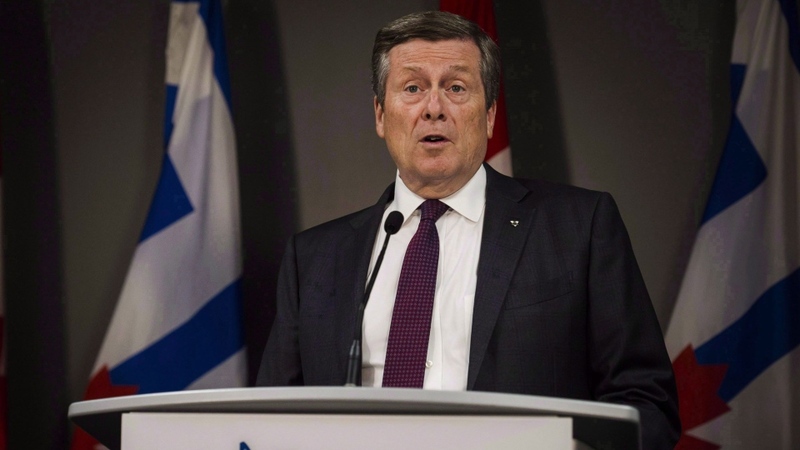 Tory added he plans to continue the transit projects he has been working on, including the downtown relief line north and south, the LRT on Eglinton east and west, and the waterfront LRT. During a speech at the Canadian Club over the lunch hour, Keesmaat suggested that in refusing to attend the debate, Tory is showing that he “doesn’t want to be held accountable” for what she said is his failure to deliver on his ‘SmartTrack’ proposal. Keesmaat, however, took issue with that assessment. In her speech, she said that the plan was “drawn on the back of a napkin” by Tory’s political strategists. “It made no sense as anything but an election slogan. And almost none of it is happening,” she said. Speaking with reporters at a campaign event earlier on Wednesday, Tory said that he stands by his record on transit. He conceded that his opponents will likely take shots at him during tonight’s debate but said they would do so whether he was there or not. In a statement provided to CP24 on Wednesday afternoon, Tory’s campaign pointed out that Keesmaat endorsed the plan for SmartTrack back in 2016 when she was the city’s chief planner and only began criticizing it after launching her mayoral campaign. “Now that she's a mayoral candidate, Ms. Keesmaat wants to cancel SmartTrack stations and pull apart the council-approved transit expansion plan. Re-drawing and re-debating the transit plan means nothing gets built. It means more congestion. 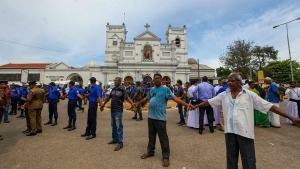 It means even more packed buses and subways,” the statement said. 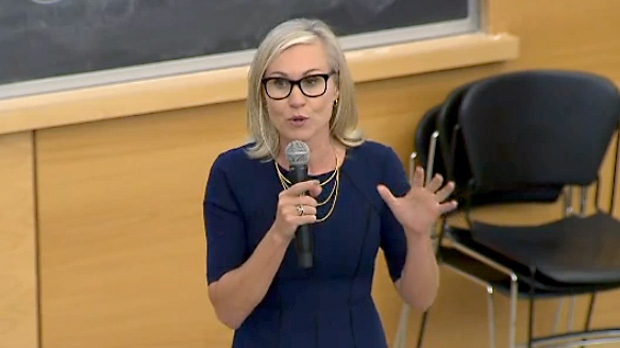 Mayoral candidate Jennifer Keesmaat participates in a transit debate hosted by TTCRiders group on September 26, 2018.